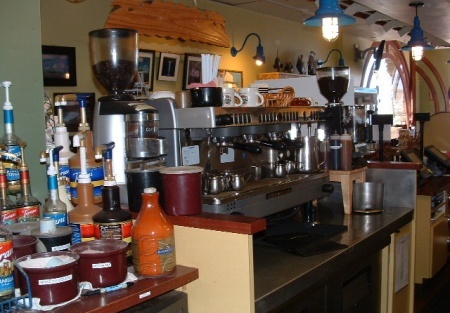 Selling Restaurants asks, if you're looking for a premier coffee house/caf� with a AAA location then look no further. You will not find a better location in San Diego. This absentee owner run business is located on a corner just minutes from the beach with nearby shopping and five star resorts drawing client�le to this locale. Sales have ranged from 19k to 49k per month the potential is huge with the outstanding demographics that Del Mar offers. The foot and auto traffic is great. There is plenty of free (with validation) parking available just steps from the entrance to this local favorite coffee house. The outside patio provides spectacular sunset views and is the perfect place to relax and enjoy the many different varieties of coffee, sandwiches, smoothie�s, pastries and ice cream. There is 1153 square feet inside and approximately 500 sq feet of patio dining. Total monthly rent including CAM is 6796. Lease available through 2023! Owner wants out due to health reasons. His loss is your gain, simply needs the right owner operator in place to make this dream location the opportunity of a lifetime. Please select one of the orange buttons below to get started owning this great business.